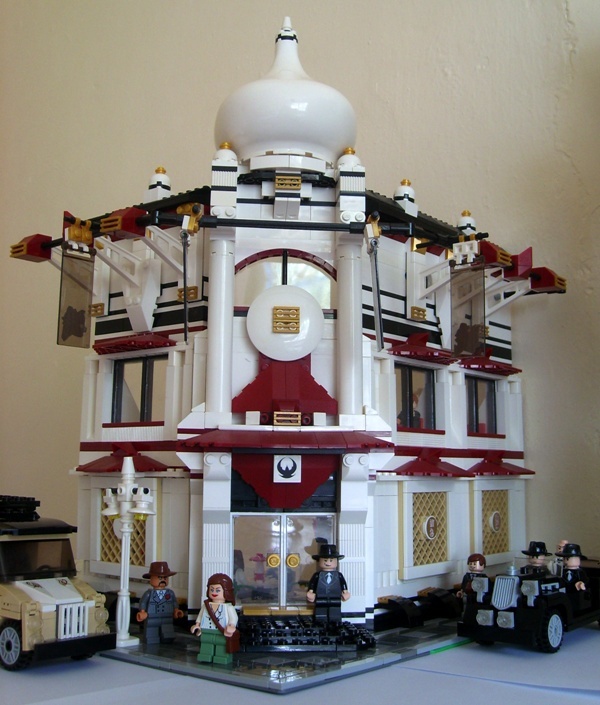 Brick Town Talk: Corner Teahouse Gotham City - LEGO Town, Architecture, Building Tips, Inspiration Ideas, and more! I love this creation my blog is going to crash soon. I was wondering how to create a background like yours? I will not copy yours! I just wanted to know how you got it? It was such a long time ago that I can't remember exactly. I just typed 'how to add a background to blogspot' into google - or something similar and I followed the on screen instructions. You need to have somewhere to up load the back ground image. Mine is on brickshelf. Good luck. Let me know how you get on. Thanks any ways can you follow my blog it would get my blog some more good hits and I already love your blog. Also put me on your useful links I already have on mine?? Hey Brick Street, I sent you an email. Get back to me as soon as you can.